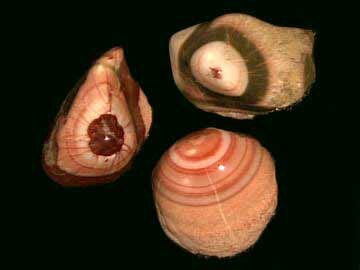 Thomsonite occurs as amygdules in the basaltic lava flows about 5 miles southwest of Grand Marais, Minnesota. 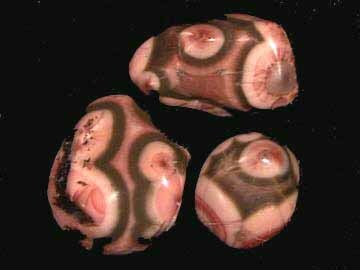 The gemmy specimens feature pink, soft red and white radial patterns, often tempered with green, blue and black. 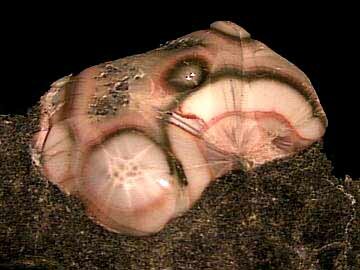 Thomsonite was first identified in 1820 by British mineralogist H.J. 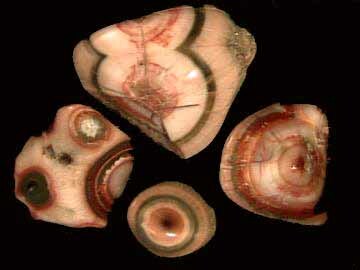 Brook, who chose to name this zeolite after his friend, Dr.Thomas Thomson, a Scottish chemist. Complex hydrous alumino-silicate of calcium and sodium.